Definition at line 176 of file CCopasiXMLParser.h. Definition at line 19 of file ListOfModelParameterSets.cpp. 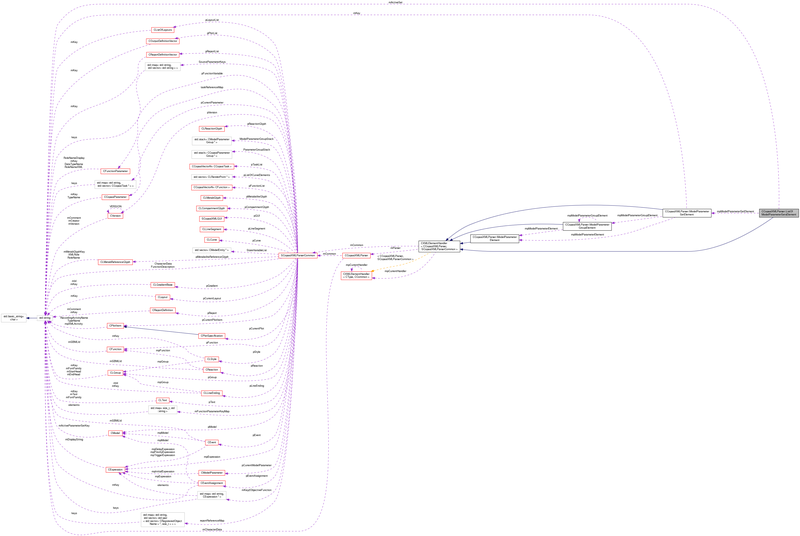 Definition at line 27 of file ListOfModelParameterSets.cpp. Definition at line 89 of file ListOfModelParameterSets.cpp. 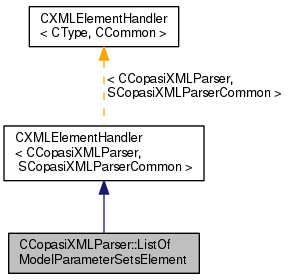 References CModelParameterSet::assignSetContent(), CCopasiMessage::EXCEPTION, CKeyFactory::get(), CCopasiMessage::getLastMessage(), CModel::getModelParameterSet(), SCopasiXMLParserCommon::KeyMap, CCopasiXMLParser::mCommon, MCXML, CExpatTemplate< CExpat >::mParser, SCopasiXMLParserCommon::pModel, CCopasiMessage::size(), START_ELEMENT, and UNKNOWN_ELEMENT. 127 // due to incomplete model specification at this time. Definition at line 33 of file ListOfModelParameterSets.cpp. References CCopasiVector< T >::clear(), CCopasiMessage::EXCEPTION, CModel::getModelParameterSets(), CCopasiXMLParser::mCommon, MCXML, CExpatTemplate< CExpat >::mParser, SCopasiXMLParserCommon::pModel, and UNKNOWN_ELEMENT. Definition at line 213 of file CCopasiXMLParser.h. Definition at line 218 of file CCopasiXMLParser.h.